Charlotte Purvis, Margaret A. Brunson, Justin Winter and Nia Wilson lead a QTNA panel on race and the workplace. The most alarming thing to me about the Charlottesville protestors wasn’t their hate — I expect that of white supremacists. It was how mainstream they seemed. I saw “regular” looking individuals who could have easily been gathering for an after-work happy hour instead of a hate march. Polo shirts. Button downs. I even spotted a few perfectly coiffed hipster comb-overs, illuminated by the glow of tiki torches. 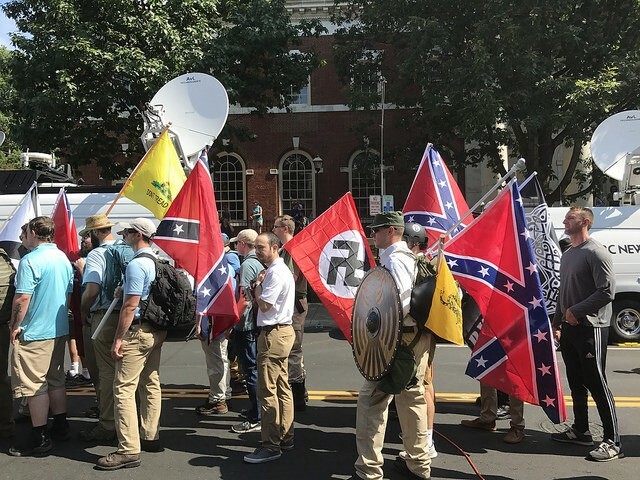 Equally disturbing was the many people who criticized the counter-protestors, but were silent about the KKK, neo-Nazis and white nationalists. So, not only does extreme White racism seem to be successfully rebranding itself, but it also appears to be getting a major pass by much of America. In these trying times, racism deserves more attention, not less. Not just the overt racism of white supremacists, but also the structural and systemic issues that lead to day-to-day disparities for Black and Brown individuals, including your friends, neighbors, and coworkers. 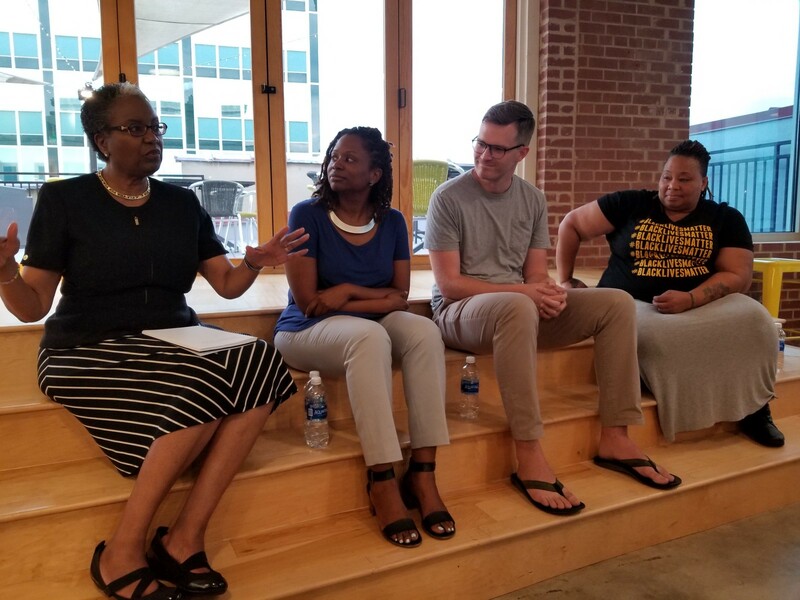 A recent Questions That Need Answers (QTNA) discussion at American Underground had four panelists take on the challenging topic of how businesses could address America’s agitated racial climate. What follows are four steps to guide your business on how to be a brave part of the solution. As a leader, it should be obvious where you and your business stand on issues of hate, discrimination, and inequality. QTNA panelist Charlotte Purvis stated that leaders no longer have a choice as to whether or not they will discuss race. Overt racist messages are being welcomed back into the national dialogue, and as a company leader, ignoring them means ignoring the employees at your work who are most affected by them. At the QTNA talk, Communication Consultant & Motivational Speaker Charlotte Purvis praised this statement by Massachusetts State Auditor Suzanne M. Bump. Charlotte, a communication consultant and motivational speaker, praised companies making bold statements in opposition to racist messages and movements. Calling it the “Let there be no doubt” approach, she argued that bold mission statements and messages from companies helped to publicly reinforce their values and display leadership to the larger community. However, as some QTNA panelists and audience members noted, these statements alone can actually be harmful if the company’s culture does not reflect the sentiment of the statement. In these instances, the public praise of the company’s promise could overshadow the needs of employees or customers if that promise isn’t kept. To me, mission statements are your company’s wedding vows to its employees and customers. They’re not complete just because they are stated. They are not your finishing point, but your starting point, and what you fight for each and every day. As the only white person (and only male) on the QTNA panel, it was fitting that Justin Winter, CEO of Boostopia, had a message that centered on engaging in intentional dialogue with people who are different. Recently, Justin made a conscious effort to have conversations with people whom he described as “more woke” than himself. He credits those conversations in helping him to better understand the feelings and realities of underrepresented people. A large barrier to solving our country’s race issue is that it requires people to have these uncomfortable conversations and place empathy and honesty before defensiveness. This isn’t easy, but the fruit of these conversations is truth and context. As business leaders, we must seek these discussions for ourselves, and also create an environment for our staff that fosters open and productive dialogue. Startups like Boostopia have an important role in incubating change. If they place emphasis on diversity, empathy, and conversation early on, it helps create an inclusive work environment for future employees as the company grows. Collectively, these startups will flood society with culturally competent individuals who are better equipped to tackle tense racial issues. A safe space is what I described earlier, where open and constructive dialogue around tough topics like race is encouraged. A brave space is where words are accompanied by action. 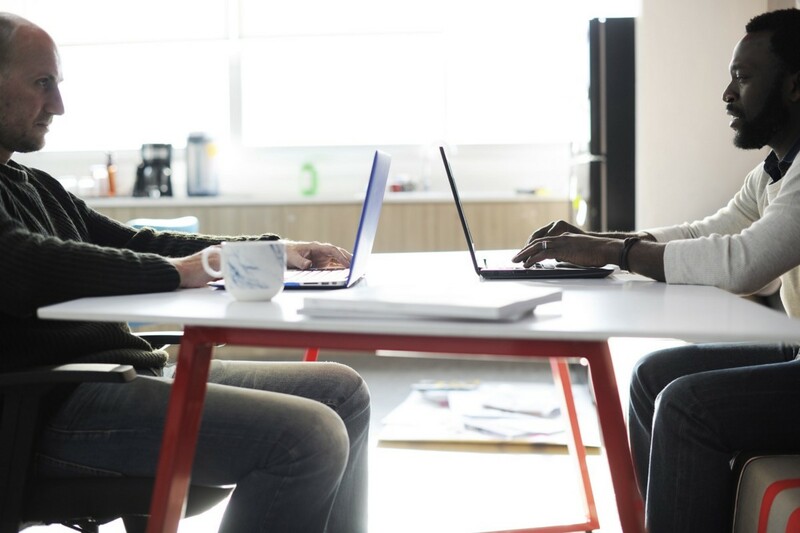 Lessons learned through open dialogue are actively used to make the workplace more conducive to diversity and retention of that diverse talent. It is where leadership unapologetically defends underrepresented employees if they are threatened or unfairly treated, and where the outspoken champions of racial equity are not just people of color. 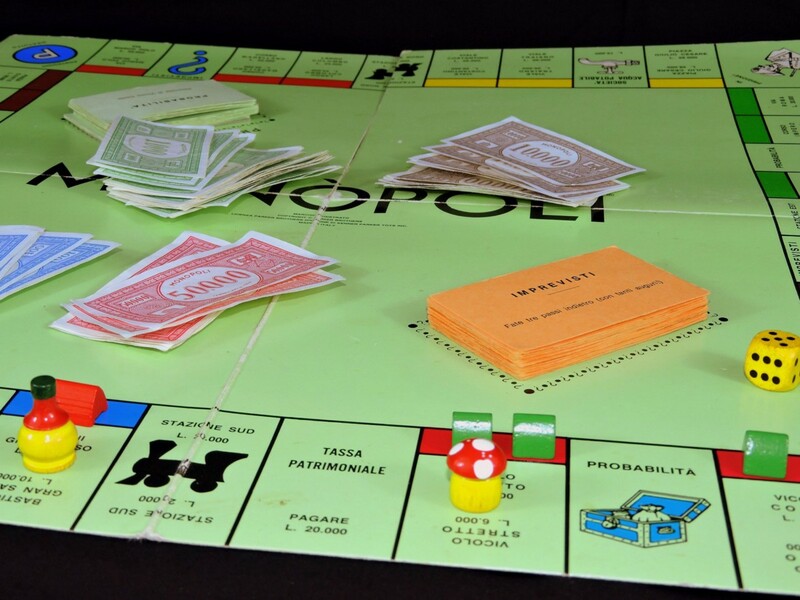 Imagine that you begin a game of Monopoly two hours after other players. By that time, all the property is gone. Even if you started with the same amount of money as the others, all that is left for you to do is pay it out. And despite your predicament, the other players who own everything are likely to do everything possible to keep it that way. During the QTNA discussion, Executive Director of SpiritHouse Nia Wilson used this analogy to explain racial inequities in America and the need for policy to help repair centuries of damage. As part of the private sector, businesses can leverage their power to influence public policy in responsible ways. Also, within their own walls, businesses can expand on the “brave space” mentality and use company policy to facilitate access for underrepresented communities. That might mean mandatory bias training for hiring managers or policies like the Rooney Rule to ensure that there are diverse candidate pools for every open position. Companies can also create programs to assist, train, and promote those individuals who might otherwise be overlooked. The QTNA panelists dropped many gems during the talk, but I focused on these four points because they provided a sequential approach that companies could use as a compass. But there’s a caveat: addressing racial issues is not necessarily a linear process. If you’re looking at this article as a to-do list that, once complete, will give your company an enlightened “wokeness,” I’m afraid it isn’t that simple. For your efforts to actually be valuable, there should be an implied sense of humility embedded within them — one that acknowledges that to truly fulfill your goals, the company (and its leaders) must be in a constant state of listening, learning, self-reflection, self-correction, and action.